This counter top water filter comes with all the connections that you need to hook up to the kitchen tap. 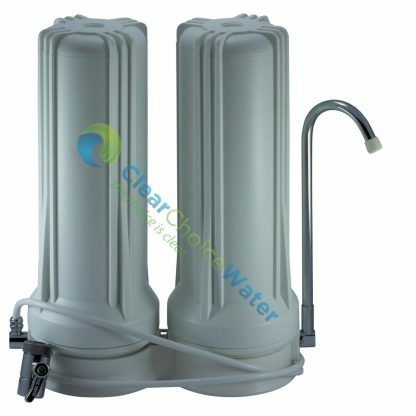 Ideal for people looking for a cost effective water filter or for those who are renting. This housing takes a standard 10″ x 2.5″ cartridge which means that you are free to buy the replacements anywhere you choose. Save money in running costs our cartridges last for one year (depending on water supply), enjoy pure water on tap for a fraction of the cost of other systems. The Doulton Ultra Carb has been tested world wide for performance it has been tested and certified by the Hong Kong Standards and Testing Centre (No: HC109730). Which means it “does what it says on the box”. Guaranteed to remove chlorine, cryptosporidium, giardia, heavy metals and bacteria. This cartridge is ceramic and can be removed and scrubbed clean using a pad such as scotch brite. Please see technical data tab below for more information. Robust Australian Standards 3497 approved housing which means that they have been tested to 700 KPA of water pressure over 100,000 times without failure. 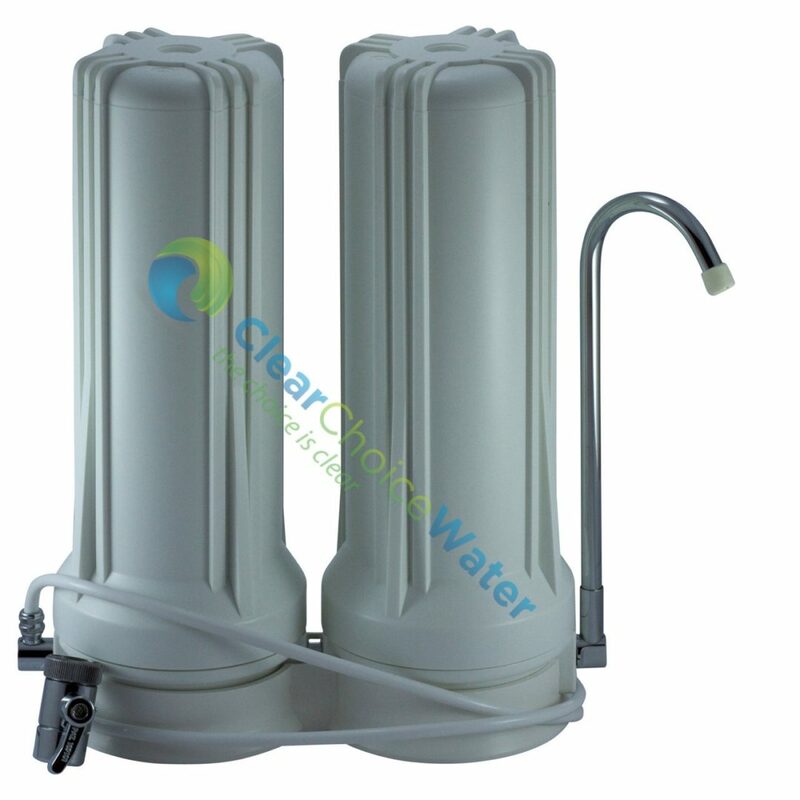 Fluoride cartridge filter (activated alumina). When removal of fluoride from your water supply is required this filter can be added to existing systems – the manufacturer states a minimum 90% removal. Independent tests performed at Tweed Heads, Qld, showed a 98% removal. If you are going to buy a fluoride removal system ask for test results. 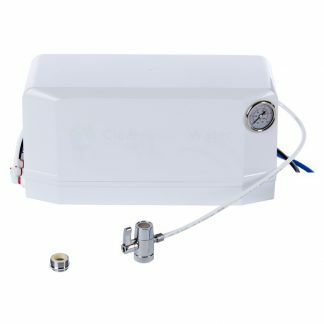 This sytem is the will perform in relation to fluoride removal to the same level as a lot of reverse osmosis systems on the market. Doulton ceramic water filter cartridge can be cleaned using a quality pad such as Scotch Brite.